COSI provides a unique and extraordinary international opera performance and production training program for emerging artists. Within a short span of time, COSI not only established itself as Canada's leading and most comprehensive opera education and performance program in Europe, it is now embracing ever-expanding roster of international participants. 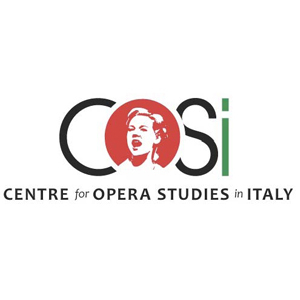 Dedicated to providing the best with the focussed and refined training they require, COSI affords young singers, collaborative pianists, stage directors, stage managers and conductors the opportunity to deepen their understanding of the language and the culture that produced Italian opera, an appreciation that is vital to their artistic development. An intensive summer program, COSI fills a distinct gap by fostering young opera talent in an international setting. Participants not only add roles and repertoire to their experience, establishing a crucial boost to their abilities and audition prospects, they also gain insights into the dynamics of staging a professional-level opera and forge vital career-enhancing relationships with faculty and peers. The COSI experience is rich in operatic training and performances, with immersion in Italian life and Italian language classes. Internationally renowned faculty in operatic performance, voice and piano teaching and coaching, dramatic coaching, bodywork, and lyric Italian are converging with advanced singers and pianists to create a high level of performance in the traditional grandeur of Italian performance venues. Explore this site and learn how to include yourself in these rigorous yet resplendent encounters with opera – Italian style!